A whole lot of cooking going on .. This article on the Bloomberg website raised a few points of interest. ...There’s a real danger in seeing economics as an objective science from which all values have been stripped..."
The article’s author seems unusually reluctant to state the obvious and explain that economics is the field of class war. One of the textbook definition of economics is along the lines of the study of how societies use scarce resources to produce and distribute goods and services. Paul Samuelson in his Economics, in a very widely studied economics textbook, speaks of a "large scarcity" and says that if goods were not scarce then there would be no role for a science of economics. That's one definition of economics and, clearly, on it, "economics" will have existed since the Stone Age and before and will still exist in socialism. But that's not how Marxian socialists have traditionally defined it. Most people wouldn't regard the term "socialist economy" as a contradiction, but that would probably be because they envisage "socialism" as having the familiar features of today's "economy", i.e. production for the market, monetary incomes, etc. This is not how Marx and many in the Marxist tradition would describe socialism. For instance, in her series of lectures later published as What is Economics? Rosa Luxemburg concludes that it is the study of the impersonal economic laws that come into operation as if they were natural laws when there is generalised production for sale on a market with a view to profit. The subject of "economics" is "the economy" that comes into being under these conditions. In other words, "economics" is not the study of the production and allocation of resources as such but the study of this when there is an "economy". Economics only arose with capitalism, as in previous societies, where there was production and distribution (and, in most, exploitation) for direct use, there was no need for a special branch of science to study this: it was transparent. For the same reason, there will be no role for "economics" in socialism, precisely because socialism won't be an economy. When we criticise "economics" it is its claim to be studying eternal facts of human existence, instead of just what happens at the present, capitalist stage of human social development. On this definition where there are no markets there is nothing to study. At its very core—indeed in its first principle—conventional economics is anti-socialist. It justifies both its own existence and capitalism's on the basis that resources in society will always be scarce. Not only this, it postulates that wants are somehow limitless too, ensuring an irreversible tendency for demand in society to exceed supply without the guiding hand of the price mechanism to ensure some sort of equilibrium. In taking this position, economics reveals itself to be the ideological discipline it really is, distorting any meaningful definition of the word "scarce" (which, like dictionary definitions, would stress its relative nature, that is, resources in relation to needs) in favour of abstract absolute concepts like scarcity existing at any point when resources aren't infinite. It is from this entirely bogus philosophical construction that economics deduces that abundance is impossible, and that so, therefore, is socialism. As the problems of capitalism have proved to be so remarkably intractable, so economics has seen its practitioners splinter into opposing camps offering conflicting analysis and advice. Even if the fundamental propositions of mainstream economics have been the same over time, the precise theories advanced by economists at any given point have sometimes varied markedly from those considered so useful in other periods. Indeed, it is because conventional economic theories have proved to have been such failures that they have been picked up and then dropped to be replaced by something else with such monotonous regularity. Economists do not appear to have any new theories left, just—at best—remixes of old ones. In the century now passing, protectionism, free trade, land taxes, social credit, currency inflation, currency deflation, rearmament, Keynesianism, the "welfare state", nationalisation, indicative planning, privatisation and monetarism have all at some point been advocated by large numbers of economists as the solution to the economic problems of the time. The mind of capitalist economists is dogged by determination to show that the market system works, and the unshakeable belief that the consequences within the market economy are the result of mistaken or otherwise conscious decisions of the actors within the economy. Economics is the study of the factors governing the production and distribution of wealth under the market system of production for profit. Socialism will re-establish conscious human control over wealth production; therefore, socialism will abolish capitalism’s economic laws and so also ‘the economy’ as the field of human activity governed by their operation. Hence socialism will make economics redundant. If humans are involved, ideology is involved. Economists are humans, and are not non-ideological beings, but are products of our class-divided society. No matter how they dress their ideology in pseudo-scientific objectivism, economists cannot square a circle. What are the implications of recent economic developments for the teaching of economics? The idea that markets are "self adjusting," that free, unfettered markets lead as if by an invisible hand to the well being of all, has been repeatedly refuted (the Great Depression was the most telling refutation). But it is a lesson that has to be learnt over and over again. The challenge is to get the right balance between markets and government, to get the right form of regulation that allows for innovation – but not the kind of financial innovation that we have just seen. Instruments that were supposed to reduce risk actually increased it. If economists today took more trouble to explain in simple language what they are trying to prove and what relevance it might have, the gulf between theory and practice might be closed somewhat. As it is, more and more economists fill more and more pages of learned journals with an endless stream of ill-written, verbose, half-baked mumbo jumbo which has as much value to policy makers as the chattering of starlings. Stiglitz's answer is an explicit attack on standard, free-market economics. The market, argue some defenders of capitalism, possesses this "invisible hand", which secures prosperity and democracy for all; the concept dates back to Adam Smith. Quite what he has in mind on the right balance between market and government is not clear. History has shown Keynesian economics to be just as big a failure. "The charge that sways juries and offends public sensitivities … is that greedy corporations sacrifice human lives to increase their profits. Is this charge true? Of course it is. But this isn’t a criticism of corporations; rather it is a reflection of the proper functioning of a market economy. Corporations routinely sacrifice the lives of some of their customers to increase profits, and we are all better off because they do. That’s right, we are lucky to live in an economy that allows corporations to increase profits by intentionally selling products less safe than could be produced. The desirability of sacrificing lives for profits may not be as comforting as milk, cookies and a bedtime story, but it follows directly from a reality we cannot wish away." Lee gives the example of expensive safety features in cars. With cheaper, less safe cars, he argues, consumers would be free to spend more money on education and health care. The longer life expectancy that comes with more education and health care, he thinks, far outweighs the occasional traffic death due to dangerous automobiles. That you, the teachers of neoclassical economics and the students that you graduate, have perpetuated a gigantic fraud upon the world. You claim to work in a pure science of formula and law, but yours is a social science, with all the fragility and uncertainty that this entails. We accuse you of pretending to be what you are not. You hide in your offices, protected by your jargon, while in the real world forests vanish, species perish, human lives are ruined and lost. We accuse you of gross negligence in the management of our planetary household. You have known since its inception that your measure of economic progress, the gross domestic product, is fundamentally flawed and incomplete, and yet you have allowed it to become a global standard, reported day by day in every form of media. We accuse you of recklessly supporting the illusion of progress at the expense of human and environmental health. You have done great harm, but your time is coming to its close. The revolution of economics has begun, as hopeful and determined as any in our history. We will have our clash of paradigms, we will have our moment of truth, and out of each will come a new economics — open, holistic, human scale. On campus after campus, we will chase you old goats out of power. Then, in the months and years that follow, we will begin the work of reprogramming the doomsday machine. Interesting - let's see what happens next. Karl Marx’s famous dictum sums up my teaching philosophy: “The philosophers of the world have only interpreted the world in various ways; the point is to change it.” As I came to see it, Marx had uncovered the inner workings of our society, showing both how it functioned and why it had to be transcended if human beings were to gain control over their lives and labor. Disseminating these ideas could help speed the process of human liberation. From a college classroom, I thought that I could not only interpret the world, I could indeed change it. Thinking is one thing; the trick is bringing thoughts to life. How, actually, does a person be a radical teacher? How, for example, can students be shown the superior insights of Marxian economics in classes that have always been taught from the traditional or neoclassical perspective—taught, in fact, as if the neoclassical theory developed by Adam Smith and his progeny is the gospel truth? My college expected me to teach students the “principles” of economics: that people act selfishly and independently of one another, that this self-centeredness generates socially desirable outcomes. And further, that capitalism, in which we, in fact, do act out of self-interest, is therefore the best possible economic system. Had I refused to do this and taught only Marxian economics, I doubt I could have kept my job. My students were mostly the children of factory workers, miners, and other laborers, just the young people I wanted to reach and move to action. However, nearly all of them were hostile to radical perspectives, having been taught that such views were un-American. Their animosity was sometimes palpable, especially when I pointed out the many things they did not know about our country’s unsavory relationships with the rest of the world. A retired Marine told me that, after we watched a particularly radical film about U.S. imperialism, he wanted to come down the aisle and strangle me. My own timidity also made it difficult for me to advocate revolutionary ideas. The neoclassical way of thinking has a strong hold on those who have taken the time to learn it. It is elegant, precise, mathematical. I was half afraid that the neoclassical theory would prove capable of addressing the questions that I believed only radical economics could answer. I gave it a legitimacy it didn’t deserve. So I proceeded in a cautious manner, focusing at first on what economists call “market failures.” These occur when the egotistic pursuits of the market’s buyers and sellers do not lead to socially desirable results. An example is ecological destruction. In a “free” market, companies have strong incentives to wreak havoc on nature. Because it is often costless for them to pollute, that is what they do, shifting the damage caused by their production onto others, who suffer higher health expenses, foul air, and dirty water. Since the market does not respond to our need for a livable environment, it fails socially, making it necessary for the government to compel the polluters to behave in a publicly responsible way. Discussions of market failures allowed me to show my students that a capitalist economic system has to be regulated by the government if it is to satisfy human needs. The problem with this tactic was that it led to a liberal and not a radical advocacy. My growing hostility to capitalism demanded more than a liberal critique. My next strategy was to pit the neoclassical and the radical theories directly against one another. I pointed out that economists did not agree on what made capitalist economies tick. I explained the neoclassical theory as objectively as possible. I then used the market failures to develop a criticism of mainstream economics, especially the notion that the government is a neutral entity that acts to regulate the market to the benefit of society as a whole. Once I suggested that the weight of money in politics made this unlikely, it was easy to switch gears and enter into an examination of Marxian economics. This comparison approach also proved unsatisfactory. The neoclassical theory is difficult for students to learn, so I had to spend too many hours analyzing it, leaving not enough time for the radical model. Therefore, I did two things. I simply stopped teaching the neoclassical mainstays, called micro and macro- economics, freeing me to develop new courses. This was possible because I now had tenure and was the senior teacher in my division. I taught the Political Economy of Latin America, a subject amenable to a radical analysis and one in which there is a large body of literature rooted in the political economy of Marx. I also developed a set of courses in labor relations built on the supposition that there is an inherent conflict between employees and their employers, rooted in the nature of our economic system. In these classes, the only theoretical constructs employed were those of Marx and his modern adherents. For a decade, teaching radical economic ideas pleased me, but then disillusion set in. In the early 1980s, the steel mills in Johnstown, Pennsylvania, where I taught, began to close. Workers were forced to leave the area, and as a result, my working class students disappeared. Teaching kids who were the first in their families to attend college, as I had been, had made my efforts seem worthwhile. I got along well with them, even those who disagreed with me. I managed to radicalize some. Unfortunately, the college began to replace the locals with middle-class teenagers from the Pittsburgh suburbs. They seemed to me like alien beings, so unconcerned with learning that they appeared proud of their ignorance. To make matters worse, the student revolt of the 1960s had generated a counterattack by the leaders of business (who dominate the schools to a degree seldom examined or understood) and government. The humanities and social sciences began to lose ground to career-oriented fields of study; soon, business and technical programs proliferated. These changes, which coincided with the collapse of the post-Second World War economic boom, created understandable fears among young people, who were easily persuaded to view education as an investment in their “human capital,” and major in something practical. Disinterested students and a reactionary political situation on campuses made me wonder what useful purpose teaching undergraduates served. Perhaps advocating radical ideas in college classrooms was not a radical act. It would not push the society toward greater egalitarianism and more control over the economy by ordinary people. Certainly, creating a new world was the furthest thing from my students’ minds. Nothing I could say would change them very dramatically. Compounding matters was the growing match between a much more conservative ideological climate and the recently hired faculty. Most were too cowed by authority and fearful that dissent would impact their careers negatively to do anything except keep their noses to the grindstone. A few said they would make trouble once they got tenure, but none ever did. Economic necessity compelled me to continue teaching, but conscience forced me to do more. I had never confined myself solely to the classroom; I had helped the maintenance and custodial workers at my college to form a labor union and tried valiantly to get the faculty to follow suit. However, now the campus was not enough, so in 1980, I began educating working people, in a Labor Studies program at Penn State University. The first classes were held in Johnstown, but eventually, I taught throughout Western Pennsylvania and occasionally in Ohio, with venues in union halls, schools, and motels. Classes were noncredit, typically meeting for three hours on a weekday evening. My students did every kind of work: steelworkers, postal clerks, mail carriers, oil workers, chemical plant laborers, autoworkers, coal miners, secretaries, librarians school teachers, firefighters, nurses, plumbers, operating engineers, bricklayers, carpenters, machinists, glass workers, and many more. These early forays into worker education soon led to others. Sometime in the late 1990s, I was asked to teach a class in a graduate (Masters) program at the University of Massachusetts, one aimed at union members, mainly officers and staff persons. Then, in 2001, I left my college teaching job, and Karen and I began an itinerant life, moving around the United States. However, labor education remained a part of my work. Besides the graduate class, I taught in an undergraduate Labor Studies program in Manhattan and online labor courses for a community college and several universities. Today, I only do the MA class, each January for two weeks. I abandoned the online work when it stopped being devoted solely to labor-oriented students or came to be used as a way to exploit cheap labor and get rid of regular classroom faculty. There are many things I have enjoyed about labor education. The students often have been like the people with whom I grew up; the older students sometimes reminded me of my father and his factory workmates. All of them have had job experience and so understood work better than my college students. When I talk about the labor law or unemployment, they bring interesting personal experiences to the discussions. What I teach has immediate practical relevance to them, and I can use this to get them to understand more complex and abstract economic and political ideas. For example, I once taught collective bargaining to a group of men working in a plant that made air conditioners. They had been forced by their international union to make concessions during the term of their collective bargaining agreement. They videotaped the classes and showed the tapes to co-workers. Then they ran a slate of candidates in their local union elections and won office. Using what they had learned, they successfully negotiated the return of the wages and benefits they had been compelled to concede. One of the new officers went on to get a masters’ degree in labor relations and then taught in the same program in which I had worked. These classes sometimes have been catalysts for the rebuilding of long dormant local labor movements, and they have raised the consciousness of the students. Although many of my early worker students had not graduated from college and were often rank-and-file union members, they grasped radical ideas more quickly and deeply than did my college pupils. This is because these had a greater usefulness to them, and they perceived the arguments through the lenses of working people’s eyes. Two examples come to mind. In a class in labor economics, we were discussing the differences between the neoclassical and the Keynesian theories of unemployment. After two three-hour classes, one of the students wrote a prize-winning essay on the subject for his local union newspaper. In a class in labor law, we were examining the Fourth Amendment to the Constitution in the context of employee drug testing. At my college, most students took it for granted that employers have the right to randomly drug test employees. They had been so thoroughly indoctrinated that they did not think of the issue in terms of civil liberties. The workers, on the other hand, argued vehemently against drug testing under any circumstances. Most of them said that they would refuse, as a matter of principle, to be tested. The men and women in the MA program do have college degrees, and they are typically union officers or staff persons. I encourage them to take what they have learned and teach their members. Unions have done a woeful job of educating the rank-and-file, not least because union leaders often fear an educated membership that might turn against them. Here again, there have been successes. Students have organized classes in their union locals; one offered a bilingual course so that Spanish-speaking immigrant laborers could attend, and another prepared labor history sessions for newly-apprenticed carpenters in Manhattan. All of this is not to say that my worker students have been perfect. Far from it. They have been subjected to the same kind of conservative advocacy from family, media, teachers, and employers to which all of us have been exposed. Racism, sexism, and homophobia have reared their ugly heads. Not all have been happy with my radical views, although there has been a remarkable transformation over the past two decades in the willingness and eagerness with which almost all have entertained—and many have embraced—a radical analysis of capitalism. Teaching workers has been education as I envisioned it when I first entered the classroom forty-four years ago: students coming to class voluntarily, enthusiastically participated in their learning, and then going out to apply what they have learned to their lives. They appreciate my commitment to teaching; applause and gifts at the end of a course have been common. And I found that these were students from whom I could learn new things as well. My labor education classes have inspired me to write several books, all of which are aimed at the general working public. Through these, I have made contact with working-class groups around the country and have had the opportunity to give talks, conduct seminars, and help in union-organizing campaigns. I often get requests from working people asking for my help in legal or economic matters. Nothing comparable happened in my college classes. The best thing about teaching workers is that I have not had to abide or feel pressured by the canons of academe. I have not had to worry that my students will not know what is expected of them when they take intermediate-level courses. Each labor class is self-contained, with no prerequisites. I do not have to maintain a false air of objectivity. I do not have to say, for example, that economists disagree about how capitalism works; instead, I can say what I believe, forthrightly, that the neoclassical theory represents the economics of the employing class and that the attempt to make it into something else, a set of universal truths, is propaganda. I can posit a radical explanation of capitalism. This has been invariably well received, even when in 1980s Johnstown, I had to call Marx’s analysis of capitalism the “workers’ theory” to avoid charges of being a communist. The idea that profits arise out of the unpaid “surplus” labor time of workers resonates because it fits with the actual work experiences of the students; it helps them to understand what they are, what forces and persons are responsible for their circumstances, and what they might do to combat them. Similarly, when I begin a discussion of our labor power as a commodity, we soon enough conclude that to our employers we are mere costs of production, to be minimized by whatever means necessary. It is but a short step to have everyone agree that workplaces are war zones and that only collective struggle has any chance of victory. In the worker classrooms, we can openly address such matters, and I can be the radical advocate I think I must be. In the college classroom, I taught as I did because the college was structured so that a more honest and direct approach was impossible. Academe, by its nature, limits, constrains, absorbs, or punishes direct radicalism. And if it does allow some radical advocacy, the “higher learning” is so far removed from the lives of working people that this is bound to have little social impact. It will not help to move society in an egalitarian and democratic direction. Worker education, on the other hand, offers much greater possibilities, precisely because it is directly connected to the lives of the working class majority, who, in the end, must be the moving force of social transformation. I don’t know how much longer I will be a labor educator. It is hard, time-consuming, and mentally and physically draining work. Guilt has probably kept me at it these past few years. There is an extraordinary shortage of people trained in economics who could effectively teach the working class. And among those few who could, hardly anyone wants to do so. I have urged radicals to teach workers whenever an opportunity presents itself. My pleas have been met always with a deafening silence. We hear a lot these days of the rise of a new core of young left-wing intellectuals, well educated, attuned to Marx, and alienated from bourgeois society. 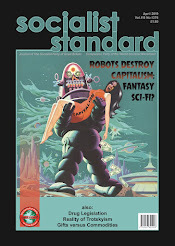 It is to be hoped that they will not only advocate for radical change in their magazines, blogs, and essays, but will embrace the working class, embed themselves in it and write and act, for workers, with workers, as workers, educating those who toil as they educate themselves. We all do what we can to make a better world. But those with knowledge have a duty to spread the word directly to those without whose struggles no such world will ever come to be. I have tried my best. Maybe now it is time for those younger and more energetic to take my place. Cameron is to attend the 61st Bilderberg meeting taking place in Hertfordshire, UK. A total of around 140 participants from 21 European and North American countries have confirmed their attendance. As ever, a diverse group of political leaders and experts from industry, finance, academia and the media have been invited. Founded in 1954, Bilderberg is an annual conference designed to foster dialogue between Europe and North America. Every year, between 120-150 political leaders and experts from industry, finance, academia and the media are invited to take part in the conference. About two thirds of the participants come from Europe and the rest from North America; one third from politics and government and the rest from other fields. The conference has always been a forum for informal, off-the-record discussions about megatrends and the major issues facing the world. Thanks to the private nature of the conference, the participants are not bound by the conventions of office or by pre-agreed positions. As such, they can take time to listen, reflect and gather insights. There is no detailed agenda, no resolutions are proposed, no votes are taken, and no policy statements are issued. In 1980, the average large corporation CEO’s salary was 50 times that of the average worker. Today that number is anywhere between 250 to 1,000. As companies grew, the workers have not shared in the growth. What is called "Trickle Down" economics, a.k.a "Supply Side Economics" In the late 1800s they had an earthier name for it - "Horse and Sparrow" economics. If the horse eats enough oats, eventually there will be some oats on the road for the sparrows to pick over. It has proven to not work, at least for 90 percent of Americans. Through the post-World War II era, the top one percent earned 10 percent of all income. By 2007, that figure had jumped to 23.5 percent, the most since 1928. Some others like to say that "a rising tide lifts all boats." In other words, if an executive makes $20 million a year, his income will eventually trickle down into the rest of the economy and ultimately benefit poor people. But that theory hasn't exactly proven true, either. The highest-earning 20 percent of Americans have been making more and more over the past 40 years. Yet no other boats have risen; in fact, they're sinking. Over the same 40 years, the lowest-earning 60 percent of Americans have been making less and less. Whether we want to admit it or not, what does NOT work is not some sort of economic system be it this system of that system, etc. What does no work is the money/profit system itself. If we, as a species, get rid of money, this planet has a chance of making it; if we do not, we don't have a chance. In science, a theory is abandoned or substantially modified if it does not concur with the emerging facts, fails to predict important events, or is contradicted by experiments. That, alas, does not seem to apply to economic theories. Capitalism has experienced the second largest economic crisis in history, after the great depression of the 1930s. You would think, wouldn’t you, that those high priests of economics would now be contrite, admit that their models of the market and human behaviour are wrong, or at least are in need of serious modification. Not a bit of it, they just carry on regardless, as if the crash never happened. Economics undergraduates at the University of Manchester are so disappointed with their courses that they have formed a “post-crash Society”, and have established links with other universities, with the aim of forcing academics to explore other economic models outside the free-market brand that dominates their economics courses. The students are critical, rightly, that their courses have failed to explain the causes of the crash, and why the models failed to predict it. The word ‘free’ in free-market or free enterprise is a misnomer. The state came to the rescue of the too-big-to-fail banks to the tune of hundreds of billions of pounds, only to see millions of that money paid in bonuses to the very architects of the crisis in the first place. Governments then had to cut their spending through austerity programmes that affect almost everyone, apart, that is, from those who caused the crash in the first place. The hardships and the misery of such cuts are particularly felt by the working poor, the disabled, and the vulnerable. As for the word ‘neo-liberal’, all it means is giving the super-rich the liberty to exploit people and to pay them poverty wages. The free-market or neo-liberalism is not a broken model of capitalism - it is capitalism. As long as economists support capitalism they will continue to be required to create explanations and apologies for its failures without fundamentally questioning it. Limitless growth is the fantasy of economists, businesses and politicians. It is seen as a measure of progress. As a result, gross domestic product (GDP), which is supposed to measure the wealth of nations, has emerged as both the most powerful number and dominant concept in our times. However, economic growth hides the poverty it creates through the destruction of nature, which in turn leads to communities lacking the capacity to provide for themselves. The concept of growth was put forward as a measure to mobilise resources during the second world war. GDP is based on creating an artificial and fictitious boundary, assuming that if you produce what you consume, you do not produce. In effect , “growth” measures the conversion of nature into cash, and commons into commodities. Thus nature’s amazing cycles of renewal of water and nutrients are defined into nonproduction. The peasants of the world,who provide 72% of the food, do not produce; women who farm or do most of the housework do not fit this paradigm of growth either. A living forest does not contribute to growth, but when trees are cut down and sold as timber, we have growth. Healthy societies and communities do not contribute to growth, but disease creates growth through, for example, the sale of patented medicine. Water available as a commons shared freely and protected by all provides for all. However, it does not create growth. But when Coca-Cola sets up a plant, mines the water and fills plastic bottles with it, the economy grows. But this growth is based on creating poverty – both for nature and local communities. Water extracted beyond nature’s capacity to renew and recharge creates a water famine. Women are forced to walk longer distances looking for drinking water. In the village of Plachimada in Kerala, when the walk for water became 10 kms, local tribal woman Mayilamma said enough is enough. We cannot walk further; the Coca-Cola plant must shut down. The movement that the women started eventually led to the closure of the plant. In the same vein, evolution has gifted us the seed. Farmers have selected, bred, and diversified it – it is the basis of food production. A seed that renews itself and multiplies produces seeds for the next season, as well as food. However, farmer-bred and farmer-saved seeds are not seen as contributing to growth. It creates and renews life, but it doesn't lead to profits. Growth begins when seeds are modified, patented and genetically locked, leading to farmers being forced to buy more every season. Nature is impoverished, biodiversity is eroded and a free, open resource is transformed into a patented commodity. Buying seeds every year is a recipe for debt for India’s poor peasants. And ever since seed monopolies have been established, farmers debt has increased. More than 270,000 farmers caught in a debt trap in India have committed suicide since 1995. Poverty is also further spread when public systems are privatised. The privatisation of water, electricity, health, and education does generate growth through profits. But it also generates poverty by forcing people to spend large amounts of money on what was available at affordable costs as a common good. When every aspect of life is commercialised and commoditised, living becomes more costly, and people become poorer. Both ecology and economics have emerged from the same roots – "oikos", the Greek word for household. As long as economics was focused on the household, it recognised and respected its basis in natural resources and the limits of ecological renewal. It was focused on providing for basic human needs within these limits. Economics as based on the household was also women-centered. Today, economics is separated from and opposed to both ecological processes and basic needs. While the destruction of nature has been justified on grounds of creating growth, poverty and dispossession has increased. While being non-sustainable, it is also economically unjust. The dominant model of economic development has in fact become anti-life. When economies are measured only in terms of money flow, the rich get richer and the poor get poorer. 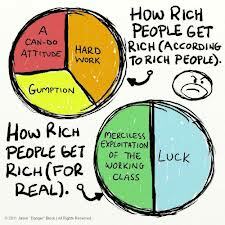 And the rich might be rich in monetary terms – but they too are poor in the wider context of what being human means. Meanwhile, the demands of the current model of the economy are leading to resource wars, oil wars, water wars, food wars. There are three levels of violence involved in non-sustainable development. The first is the violence against the earth, which is expressed as the ecological crisis. The second is the violence against people, which is expressed as poverty, destitution and displacement. The third is the violence of war and conflict, as the powerful reach for the resources that lie in other communities and countries for their limitless appetites. Increase of moneyflow through GDP has become disassociated from real value, but those who accumulate financial resources can then stake claim on the real resources of people – their land and water, their forests and seeds. This thirst leads to them predating on the last drop of water and last inch of land on the planet. This is not an end to poverty. It is an end to human rights and justice. Nobel-prize winning economists Joseph Stiglitz and Amartya Sen have admitted that GDP does not capture the human condition and urged the creation of different tools to gauge the wellbeing of nations. This is why countries like Bhutan have adopted the gross national happiness in place of gross domestic product to calculate progress. We need to create measures beyond GDP, and economies beyond the global supermarket, to rejuvenate real wealth. We need to remember that the real currency of life is life itself. Dr. Vandana Shiva is a philosopher, environmental activist and eco feminist. She is the founder/director of Navdanya Research Foundation for Science, Technology, and Ecology. Sometimes the Nobel Prize for Economics is awarded to someone who has made a useful contribution rather than providing ideological justification for some government policy within capitalism. For instance, in 1998 it went to Amartya Sen whose work had shown that famines are not caused by an absolute shortage of food but by a collapse in the ability of some people to buy or exchange something for food. In 2009 it went to Elinor Ostrom, whose research exposed the myth of “the tragedy of the commons” by showing that in practice where commons existed they had been managed by the community and did not break down through the self-defeating selfish behaviour of those have access to them. “Their studies helped to improve efficiency in markets where price was not an issue, matching doctors to hospitals, students to dorm rooms and organs to transplant patients. It led ultimately to the creation of kidney exchanges, where donors could save a relative even where there was no biological match. In essence, a husband wanting to save his wife by donating a kidney but whose blood is not compatible instead donates to a stranger, whose own relative donates back to the man's wife. "Repugnance economics", is that the socialist answer to the "Economic Calculation Argument" ? Janet had bought a sponge cake, added a lighted candle and, with a couple of bottles of awful wine, had conjured up an office party for Neb's sixtieth birthday party. 'Upstairs'—the Tribune's Group Chairman—was "in residence", as the staff called it when the multi-millionaire proprietor of the paper was in town for a few days and making a nuisance of himself. Neb, whose nickname was derived from his youthful days as a reporter when, it was said, he could smell a story, enjoyed the intimacy of his colleagues, and even the contribution 'Upstairs' made, in the form of a patronising panegyric to the past talents of his editor-in-chief, failed to impinge on his cheerful mood. That was yesterday. The evening had brought the loneliness of his five-year widowhood, concentrated, on this day, in the realisation that the meaningful part of his life had been lived. Its milestones were headlines, scoops and stories that, in his later years, had made his comfortable face one of the better known, if unlabelled, countenances on TV. In the pub, later, he reflected that ‘Upstairs’ was right; his greatness was in the past. Grogan, his ambitious deputy, knew that, too; it showed in his growing insolence and his readiness, now, to dispute Neb's decisions. It was the newsman's moment of truth: the realisation that he would never again by-line a story that would cause a TV producer to ring his office. Death, he speculated abstractly, begins its run-in by isolating its victims. It was simply loneliness, a desire to be with, even anonymous others, that brought him into the Lindsay Rooms, invited by the sign outside that said someone who allegedly knew about these things was going to speak about 'WORLD HUNGER AND ITS CAUSE’. His reporter’s mind scanned the speaker’s voice, cogitated the over-burdening statistics and, already he was seeing the words on the screen of his desk VDU—the words that would combine in the most dramatic story he had ever written because it encompassed what we saw as greed, crime and the needless destruction of human life on a scale that beggared belief. Only briefly, did his mind picture the interior of the Press Gallery television studio. No. Comfortingly, Neb experienced the desire to tell a story for its own sake; just to tell people. He had not written it well. He knew that. The old journalistic tricks, the catchphrases, the smart alliteration . . . he had discarded them as they presented themselves. Vulgar. Lewdness in a graveyard. Probably the most staid piece he had ever written. But what a story! What an unsurpassed indictment of whatever it was that allowed this awful thing to happen—to happen every single day! Still, when he entered the conference room for the “shake-out”, as the meeting that finalised the major content of the first edition of each evening Tribune was known, he was dismayed to find ‘Upstairs’ ensconced in his, Neb’s, chair at the top of the long editorial table. Grogan, pulsating energy, chatted obsequiously to the Chairman. “What have we got?" Grogan always started the proceedings but. this time, without looking at Neb, he took his cue from ‘Upstairs’. He answered his own question: "Art's got the front lead, I think. It’s costing, but with pictures, we’ll have a middle spread as well”. Janet came into the room and automatically went to the top chair. ’Upstairs' had the fax in his hand before she realised Neb was not in his usual place. There was a deferential silence in response to the Chairman’s raised hand. "This might be your lead, Neb: Sir Kenneth Cornell, Chairman of Sprucefield—I knew him well—and three others killed . . . Company jet, going to Glasgow". Grogan spoke directly to ‘Upstairs’, "Art’s is good, Sir, the pop singer. Melanie . . . pregnant. Claims she was screwed by one of the royals’’. "Here's our lead! ", Neb’s voice cut through the muttered buzz of vulgarity. It was a declaration and all heads turned expectantly. In the silence, his voice grated and, as he read, he thought how differently he would have written it if he had known the Chairman was going to be there. “Banner: 40,000 CHILDREN MURDERED BY ECONOMICS! Lead in: Yesterday 40,000 children died because economics—the way we organise production and distribution in our world—could not afford about six thousand pounds’ worth of food and medicine to keep them alive”. His eyes swept around the table: the others were dumbfounded, staring. Desperately, in an effort to get them to hear, he started paraphrasing his material. "Yesterday, economics spent £220,000,000 worldwide on its armed forces and armaments—it does that every day and every day it sacrifices thousands of human lives to hunger. Economics destroys food . . . makes the land legislatively barren to preserve market stability. There’s nothing out there to equal the gravity of this daily crime . . .Wars . . . Disasters . . . Royal screwings. There’s nothing to equal the gravity of this crime". ’Upstairs' said, angrily, “Neb ", and limply he heard himself saying: "For Christ's sake, we’re supposed to inform the public . . ."
‘Upstairs’ slapped his palm noisily on the table. "Alright, Neb. Alright! We’ll go up to my office”. He turned to Grogan. "That whore . . . What's her name? Melanie? That’s a good lead story with the Royal bit. I’ll give you material for an appreciation of Sir Kenneth. I just can’t get over that terrible air tragedy—box it big on the front page”. Neb got up from the table. He twisted the paper in his hand and threw it into the wastepaper basket. He knew that was his last story. Economics teaching at Britain's universities has come under fire from a leading academic who accused lecturers of presenting "things that are known to be untrue" to preserve theories that claim to show how the economy works. The Treasury is hosting a conference in London to discuss the crisis in economics teaching, which critics say has remained largely unchanged since the 2008 financial crash despite the failure of many in the profession to spot the looming credit crunch and worst recession for 100 years. Michael Joffe, professor of economics at Imperial College, London, said he was disturbed by the way economics textbooks continued to discuss concepts and models as facts when they were debunked decades ago. He said many reformers had called for economics courses to embrace the teachings of Marx and Keynes to undermine the dominance of neoclassical free-market theories, but the aim should be to provide students with analysis based on the way the world works, not the way theories argue it ought to work. Even though we are the longest surviving socialist party in the UK, formed way back in 1904, not too many have heard of the Socialist Party of Great Britain. It is rather a pity because across all those decades as the British and world economy ebbed and flowed with its periodic crises, the SPGB developed its analysis of recessions. For us worthwhile social change cannot come about blindly in knee-jerk reaction to events, nor in the role of passive bystanders as events unfold around us. What has become crystal clear is the extent to which the experts of capitalism, the self-styled "Masters of the Universe" possess little idea what they were actually buying and selling. Genuine social change will require more than just restricting executives' bonuses, or trying to improve regulation of the financial services sector, as many are calling for. Even when it is working right, even when it is booming, the market system fails miserably to do the one thing it claims as its unique selling point. Far from efficiently sending market signals between supply and demand, between producer and consumer, the market system sends confused, unreliable and skewed information. Capitalism won’t collapse of its own accord. But for many millions it has never functioned to start with. Instead the market system must be dismantled intellectually, ideologically and democratically. A genuine alternative society must be agreed before capitalism can start to be dismantled in reality, with alternative mechanisms emerging to replace both the market and the state. Ahhh..We already hear some sighing....here it comes, yet another out-of-date theory, compounded by the fact it is based upon the studies of 19th century thinkers - Karl Marx and Frederick Engels which is then even further confused by all the conflicting explanations, stemming from their writings, leaving the “socialists” squabbling and feuding over who possesses the correct party line. Over-Productionist, Under-Consumptionists, Declining Rate of Profitists, all claiming the authority of Marx and all vying for recognition since each theory means a political policy to be promoted in the hope of implementation. Therefore, the SPGB begs your patience and indulgence as we challenge your existing and widely held accepted views. 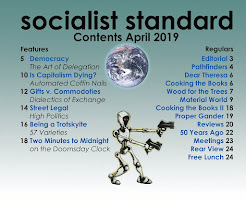 Regular readers of the Socialist Standard will be familiar with the Cooking the Books column which usually comprises of two succinct separate articles each month dealing with economic matters in an accessible way for the general reader. 2. But Who Owns the Machines? Swiss banking reformers have obtained the 100,000 signatures needed to initiate a referendum to restrict bank lending or, as they put it, to stop banks benefiting from being able to create electronic money out of nothing. 'I find it terrible that we allow companies to behave like this', an unnamed Tory minister told Times columnist, Rachel Sylvester (26 January) commenting on the Google tax row. 'It gives capitalism a bad name'. It's the 'unacceptable face of capitalism' all over again (as if capitalism had an acceptable one). Commons on 1 March George Osborne called the journalist and broadcaster Paul Mason a ‘revolutionary Marxist’. 1. When Supply Exceeds Demand …. The capitalist class is not a monolithic block with a single interest. They are united of course in wanting capitalism to continue and a government to enforce their ownership, but beyond that it’s a mass of often conflicting sectional interests of particular groups, industries and firms. An important role of governments is to arbitrate between these conflicting interests. In the argument over whether to Leave or Remain in the EU is in the better overall interest of British capitalism, which the media and politicians are urging us to get embroiled in, the Remain side would arguably seem to have the stronger case – from a capitalist point of view that is, of course. In June Swiss voters – they get the interesting things to vote on – rejected a proposal to introduce a basic income from the state for everyone as of right whether they are working or not. Perhaps surprisingly, only 23 percent voted for with an overwhelming 77 percent against. ‘Working class Britons have treated this momentous referendum as a protest vote to register their anger with globalisation, immigration and elitism’. It is generally recognised that during the referendum campaign the Brexit side relied on lies – about how much Britain paid to the EU, about how the EU worked, about Turkey being about to join – over and above the usual empty promises of politicians as to how things would be better if they won. The Remain side relied more on misleading statistics. ‘NatWest has become the first bank to warn business customers it may charge negative interest rates on money held in current accounts’, reported the Daily Telegraph (25 July). But how can there be negative interest rates? Why would anyone lend money for a period only to get less back at the end of it? Who Funded the Brexit Campaign? After the EU referendum the Electoral Commission released figures on the funds received by the two sides. They showed that the Leave side spent about £17.6 million and the Remain only £14.3 million. These were not contributions from grass-roots supporters but, on both sides, from individual capitalists. Since staying in the EU, and especially the single market, was in the overall interest of the majority section of the British capitalist class, how come that capitalists gave more to Leave than Remain? In fact, who were the capitalists who funded the Leave campaign, and why? Among the dozen largest Leave donors were: Peter Hargreaves (£3.2m), Arron Banks (£1.95m plus a loan of £3m), Jeremy Hoskins (£980,000), Lord Edmiston (£600,000), Crispin Odey (£533,000), Jonathan Wood (£500,000), Patrick Barbour (£500,000), Stuart Wheeler (£400,000), and Peter Cruddas (£350,000). This year is also the 50th anniversary of Star Trek. Although not the main theme, or even a minor one, it is clear from the characters’ behaviour and occasional asides (at least in the first two series) that it’s a money-free world. Set in the 23rd and 24th centuries, scarcity no longer exists as anything material needed to meet human needs can be produced by ‘replicators’. This prompted one trekkie, Manu Saadia, to write Trekonomics: the Economics of Star Trek that appeared earlier this year and which sparked a discussion on ‘post-scarcity economics’. ‘Hard Brexit fears push sterling to a fresh low’ read the headline in the Times (7 October) reporting that the pound had fallen to its lowest level against the dollar for 31 years. Others are suggesting that it could eventually fall, ironically, to £1 = 1 Euro. ‘Apple’s latest ambition is to rid the world of cash’ reads the headline in the Times (20 October), reporting Apple’s chief executive, Tim Cook, saying ‘we would like to be a catalyst for taking cash out of the system.’ The prospect of a ‘cashless society’ has been held out before. Apple’s plan is that people should use its smartphones to pay for things instead of cash or a cheque or even a debit or credit card.